Our stations are the country’s most dynamic, popular, and respected brands and are leaders in innovative programming. 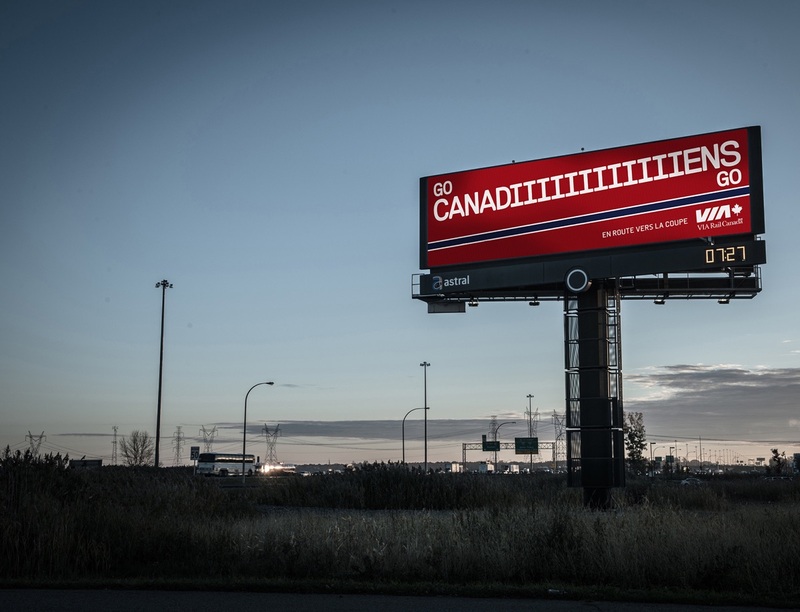 Our out-of-home advertising division has a network of over 31,000 advertising faces in British Columbia, Alberta, Ontario, Québec, and Nova Scotia. Bell Media Digital delivers the most popular news, sports, entertainment and lifestyle media in Canada. Discover Bell Media’s two conventional networks CTV and CTV2, 30 specialty channels, and four pay TV services.  Animal Planet is the only animal entertainment brand that captures the drama and compelling characters of the animal kingdom. From the most perilous encounters with nature’s fiercest predators to the pets brought into families, Animal Planet brings out the character behind every creature and shares the story behind every behaviour. Viewers meet these animals and their human companions and protectors as they surprise, scare, play with and teach how similar we really are. 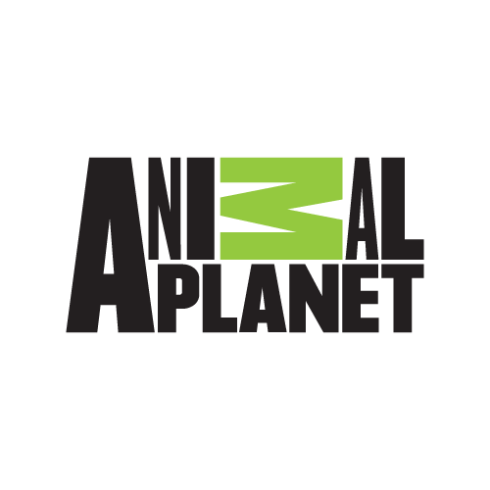 Launched in Canada in 2001, Animal Planet programming offers an immersive and compelling journey into the animal world. Animal Planet is a division of Bell Media, which is owned by BCE Inc. (TSX, NYSE: BCE), Canada’s largest communications company. Visit Animal Planet online at animalplanet.ca. BNN Bloomberg is Canada’s definitive source for business news, and the only television, radio, and digital service dedicated exclusively to helping Canadians invest and build their businesses. In addition to delivering 22 weekday hours of live market coverage, breaking news updates, and interviews with the country’s top financial minds, the network features the only televised stock ticker with real-time data from the TSX, NYSE, and NASDAQ. BNN Bloomberg delivers real-time content across industry-leading platforms, including up-to-the-minute business news, newsmaker interviews, and stock market analysis online at BNNBloomberg.ca, through the BNN Bloomberg app, and via BNN Bloomberg Radio, Canada’s first and only business news radio station. BNN Bloomberg is a partnership between Bell Media and Bloomberg Media.  BookTelevision is home to hit series based on the most well-known and loved books of all time, including mystery, true-crime, romance, classics, non-fiction, comics, graphic novels and cinema. 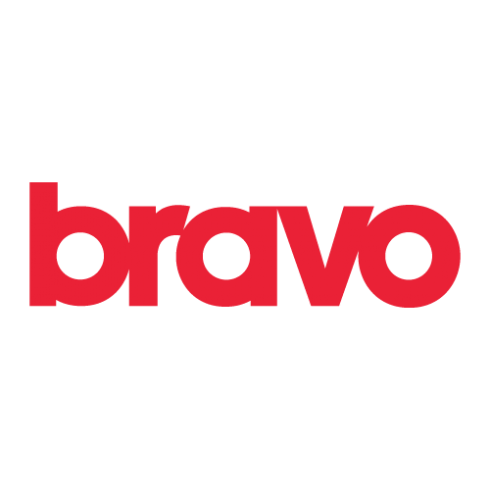 Bravo delivers compelling stories through clever and immersive programming to viewers across Canada. From high-profile dramas to blockbuster feature films, Bravo is home to award-winning entertainment. Bravo is a division of Bell Media, which is part of BCE Inc.. (TSX, NYSE: BCE), Canada’s largest communications company. More information about Bravo is available at www.bravo.ca. Every day a new theme, every day a new discovery. Mondays serve up entertaining explanations of science. Tuesday evenings are all about thrills and risks. Wednesdays take you inside fascinating and otherwise inaccessible worlds. On Thursdays, documentaries provide in-depth looks at subjects of all kinds. Fridays feature a series of unique crimes and investigations. On Saturdays, it’s time for laughter and relaxation. And the week wraps up in the company of the most adorable animals you can imagine. Canal D: discover it all. 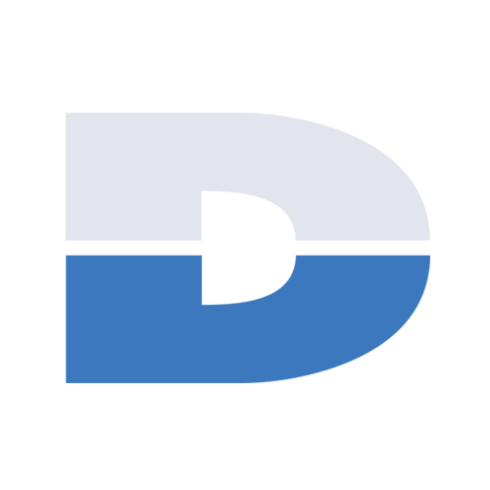 Canal D is a division of Bell Media. Canal Vie is a specialty channel for today’s woman featuring a range of subjects that speak to the daily lives of Quebecers: interior decorating, renovation, cooking, fashion, health and family. Its magazine shows, documentaries and reality series address personal life and social issues alike, while its engaging hosts support, inspire and enlighten viewers.  Canal Vie is a division of Bell Media.  CJDC TV has been serving the communities of British Columbia's Peace River region since 1959. 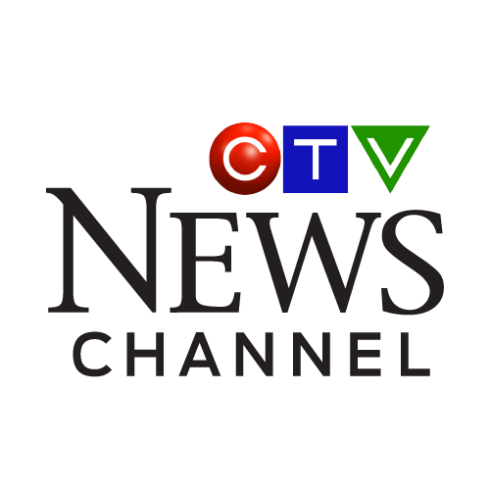 The local station features a dynamic mix of drama, reality and comedy, from the CTV TWO network combined with award winning local news and public affairs programming. 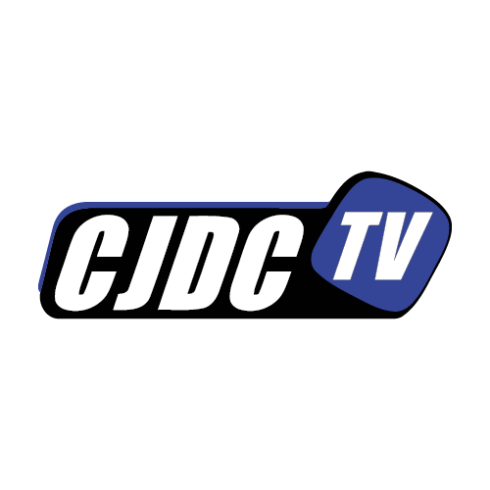 CJDC TV strives to be a true reflection of the communities it serves including Dawson Creek and Fort St. John.  CFTK TV is available to viewers over the air and cable regionally and across Canada via satellite services.  Canada's first specialty comedy service, The Comedy Network airs comedy of all kinds, 24-hours-a-day, across multiple platforms, including a revolutionary broadband service at thecomedynetwork.ca. Launched in October 1997, Comedy broadcasts, uncut and uncensored, an eclectic mix of scripted, stand-up, sketch, improv, and animated comedy – as well as topical comedy talk shows, game shows and classic situation comedies. Offering an unrivalled slate of original Canadian programming, Comedy reinvests nearly 50 per cent of its revenues into home-grown productions. Comedy is a division of Bell Media, which is owned by BCE Inc. (TSX, NYSE: BCE), Canada’s largest communications company, and is available in nearly six million households across the country. Comedy Gold pays tribute to timeless sitcoms of the ‘70s, ‘80s and ‘90s. On Comedy Gold, classic laughs are new again – a home on the dial for enduring TV satisfaction.  Comedy Gold is on Canada ’s leading online network at comedygold.ca. CP24 is Toronto’s source for breaking news. Available on multiple platforms including television, web, mobile, and via its Twitter handle @CP24, CP24 is the GTA’s #1 destination for news, weather, and traffic. CP24 also delivers information on the move with the CP24 and CP24 traffic apps. 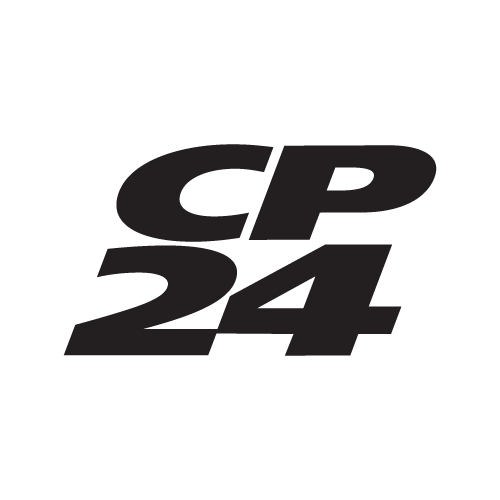 CP24 has been honoured numerous times by the RTDNA – the association of electronic journalists – including, most recently, with the Gordon Sinclair Award for Live Special Events in 2017, the Ron Laidlaw Award for Continuing Coverage in 2016, and the Charlie Edwards Award for Digital Media Spot News in 2015. CP24 is a division of Bell Media, which is part of BCE Inc. (TSX, NYSE: BCE), Canada’s largest communications company.  CTV News Channel is Canada's 24-hour all-news network. CTV News Channel draws on the vast resources of Canada's #1 news organization, CTV News, to deliver breaking news the second it happens from communities across Canada and around the world. CTV News Channel is a division of Bell Media, which is part of BCE Inc. (TSX, NYSE: BCE), Canada’s largest communications company. For more information, visit CTVNewsChannel.ca. Available across the country, CTV Two features a dynamic mix of drama, comedy, and reality programming on CTV’s second conventional network. CTV Two is also home to award-winning local CTV News broadcasts that spotlight the day-to-day life in local communities including Vancouver/Victoria, Toronto/Barrie, Ottawa, London, Windsor, and Atlantic Canada. 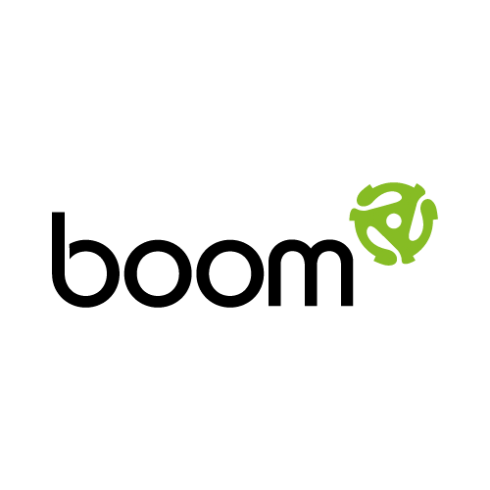 Reaching 89% of English Canadian viewers and available in high definition, CTV Two is a division of Bell Media, which is part of BCE Inc. (TSX, NYSE: BCE), Canada’s largest communications company. If it’s a groundbreaking idea, it’s on Discovery Science!  Amazing viewers with cool innovations, ingenious ideas and the latest consumer gadgets, Discovery Science takes science out of the lab and classroom, revealing its fun and relevant applications in everyday life. Taking things apart, peering inside and putting things together in new and unexpected ways – Discovery Science celebrates today’s trials, errors and breakthroughs that change the world. From the science of survival in extreme environments and inventions that make our urban habitat more livable, to the building blocks of life itself, Discovery Science explores the quirky side of technology, human progress, scientific discoveries and the people behind them. Launched in Canada in 2010, Discovery Science is where cool and curiosity meet.  Discovery Science is a division of Bell Media, which is owned by BCE Inc. (TSX, NYSE: BCE), Canada’s largest communications company. 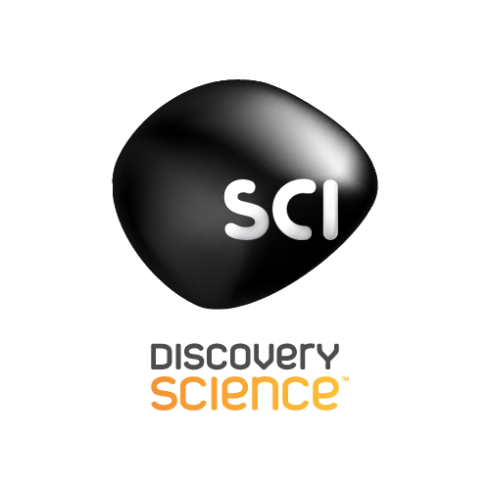 For more information about Discovery Science, visit ScienceChannel.ca.  Exploring life’s most amazing journeys, Discovery Velocity drives the passion for all things automotive, along with diverse travel, survival, and cultural world content through high quality and immersive series and specials. 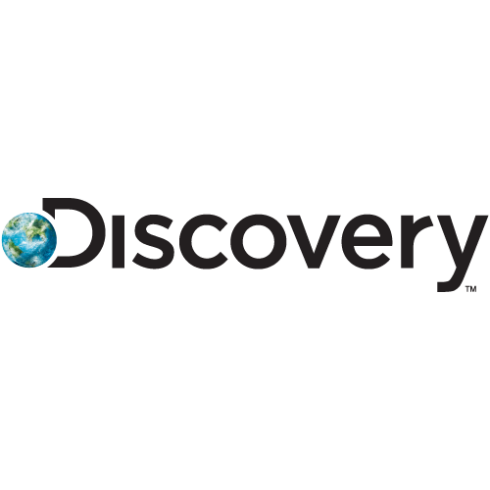 Discovery Velocity is Canada’s only home for Factual Turbo programming, bridging the gap between the world’s most popular inventions, and the science and technology in their development. Discovery Velocity is a division of Bell Media, which is owned by BCE Inc. (TSX, NYSE: BCE), Canada’s largest communications company. Visit discoveryvelocity.ca for more information. E! is television’s top global destination for all things pop culture. E! 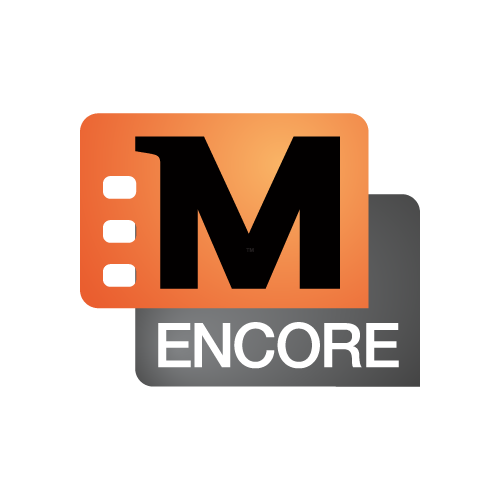 content is available anytime and anywhere, including eonline.ca, @EOnlineCanada, Facebook, and other emerging platforms.  The pulse of pop culture, E! features a variety of programming including hit reality series, fascinating profiles of the world's biggest stars, up-to-the-minute entertainment news, witty talk series, and the best live red carpet coverage from Canada and around the world. E! is a division of Bell Media, which is part of BCE Inc. (TSX, NYSE: BCE), Canada’s largest communications company.  ESPN Classic features great individual performances, controversial victories, huge upsets, momentous comebacks and unforgettable team dynasties. 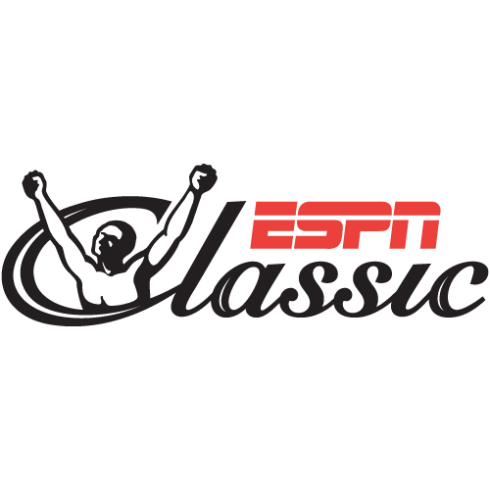 ESPN Classic has encore broadcasts of the most cherished classic games and moments from the world of sports. The network has all the bases covered with baseball, basketball, hockey, football, golf, wrestling, boxing, soccer, tennis, skating, Reel Classics sports movies and much more. 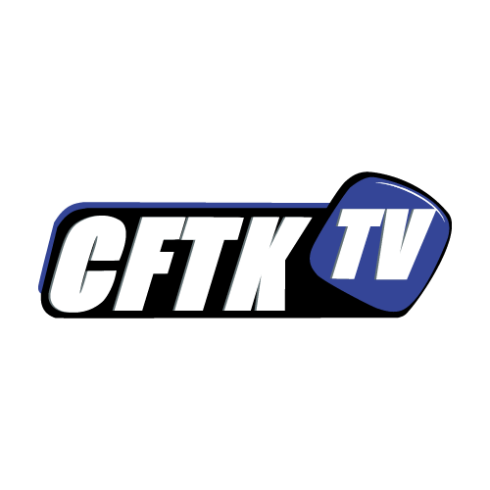 FashionTelevision (FT) is Canada's first and only 24-hour English-language fashion channel dedicated to the world of art, architecture, photography, and design. FT delivers a daily dose of international designer collections, fashion photo sessions and a look at what's behind the stories that make up the headlines in the worlds of style and design. Gusto, Bell Media's first food and lifestyle channel, features a delicious mix of creative cooking and food programmingpaired with exciting home renovation, travel, and lifestyle shows. Gusto features a menu of original Canadian series and specials produced in 4K including SPENCER'S BIG 30, WATTS ON THE GRILL, FLOUR POWER, and FRESH MARKET DINNERS as well as acquired series from stars such as Nigella Lawson, Jamie Oliver, and Martha Stewart. Gusto is distributed to more than five million households across Canada and is also available online at www.gustotv.com and on-demand via participating television service providers. Gusto is a division of Bell Media, which is part of BCE Inc. (TSX, NYSE: BCE), Canada's largest communications company. 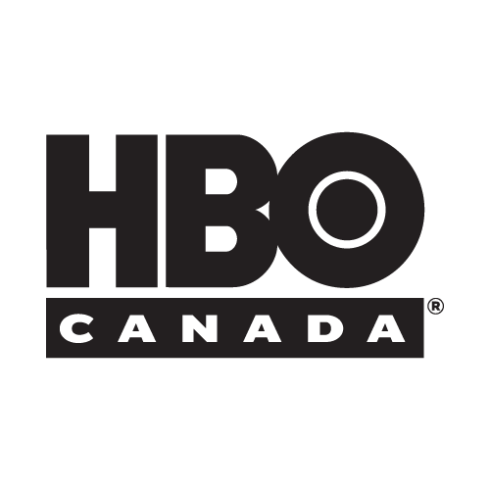 HBO Canada brings Canadians HBO’s current slate of signature dramatic and comedic programs, together with new and never-before-seen programming including comedy series, live specials, sporting events, behind-the-scenes content and titles from HBO’s extensive library – all in an uncut and commercial-free environment. 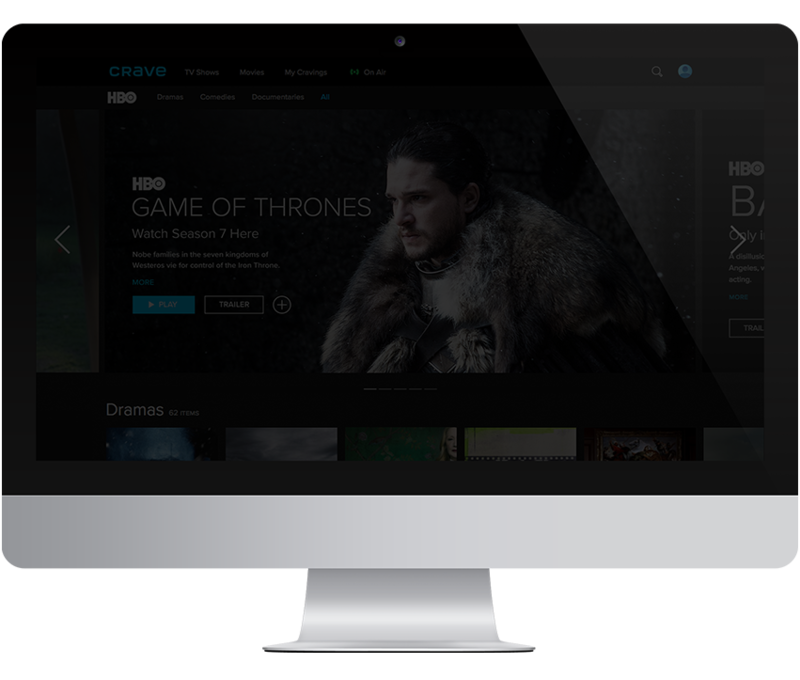 HBO is included with a subscription to Crave, which is available across Canada through participating television providers and directly to Canadians. Investigation features documentaries, reality shows and dramas that explore all aspects of the justice system and forensic science, from legal and police cases to scams, cons and espionage. Its gripping programming plunges viewers into the heart of stories that reveal human nature at its worst—and at its best. Investigation is a division of Bell Media. 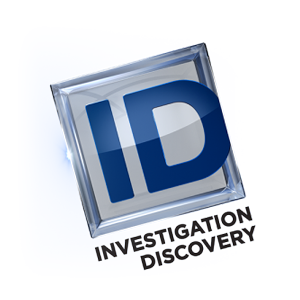 Investigation Discovery (ID) brings justice to television with a deeper look into the world of crime, forensics, paranormal investigation, and modern mysteries. ID offers arresting entertainment that delivers remarkable insight into the thrilling twists and turns of real-life investigation and the most intriguing puzzles of human nature. Launched in Canada in 2010, ID reveals the fascinating human potential for good and evil. Investigation Discovery is a division of Bell Media, which is a part of BCE Inc. (TSX, NYSE: BCE), Canada’s largest communications company. Visit investigationdiscovery.ca for more information. From fashion and politics to lifestyles and trends, MTV is all about the stories of young amazing lives from a distinctly Canadian perspective. Available across multiple platforms, including online at MTV.ca and live on Bell Mobile TV, MTV pushes boundaries with innovative original programming. MTV is available in 6.5 million households across Canada and is a Canadian-programmed and managed business. MTV is a division of Bell Media, which is part of BCE Inc. (TSX, NYSE:BCE), Canada's largest communications company. 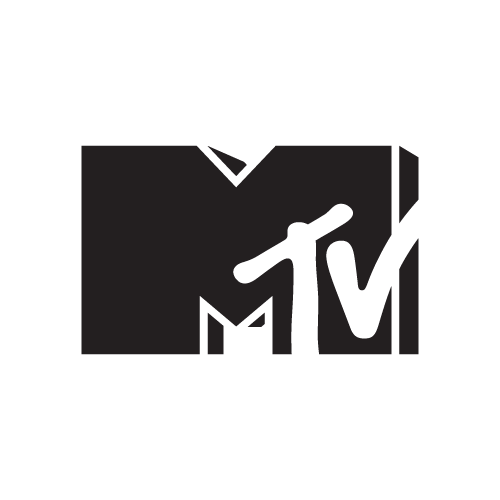 MTV in Canada is one of 63 MTV-branded services available in 152 territories around the world.  MTV2 is unabashed, unpredictable, and unruly; it’s MTV unleashed! It's the ultimate destination for Canada’s 12-24s, featuring an eclectic roster of crazy, over-the-top exclusive programming packed full of attitude. MTV2 airs and covers hit movies, comedy, extreme sports, live music and videos, animation, and gaming. 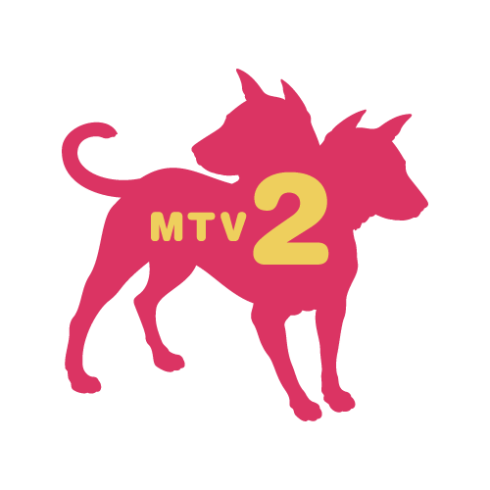 MTV2’s fierce bite extends beyond television with a multi-platform experience that includes online, featuring an array of exclusive series too racy for TV. 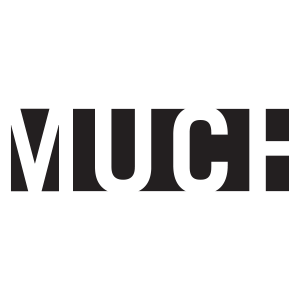 Much is the hub for everything that's relevant and trend worthy, delivering a diverse stable of irreverent and topical programming as well as exclisive live events. From the IHEARTRADIO MMVAS to its industry-leading online and social media platforms, including Much.com, Twitter (more than 1 million followers), Facebook (more than 1.2 million likes), Instagram (almost 70,000 followers), and the multi-channel network Much Digital Studios (more than 6 million combined subscribers), Much continues to deliver unique and entertaining content to its audience. Much is a division of Bell Media, which is part of BCE Inc. (TSX, NYSE: BCE), Canada's largest communications company. 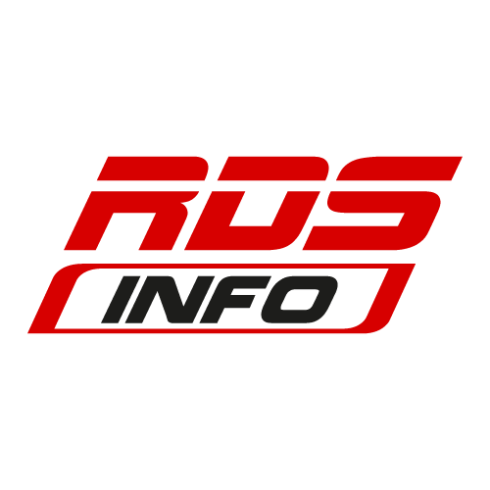 RDS is Canada’s French-language sports broadcasting leader and Quebec’s number-one specialty network.  In addition to world-class content delivered via multiple channels, including RDS, RDS2 and RDS Info along with digital platforms RDS.ca and RDS GO, RDS offers the broadest portfolio of French-language sports programming in the world. RDS is a division of Bell Media.  Launched in January 2004, RDS Info is an RDS speciality channel airing 24/7 and exclusively dedicated to sports. As the network’s sports news hub, RDS Info features original programs, namely Sports 30, Sports 30 Midi and Entre 2 matCHs.  The channel also features documentary series Monday to Thursday evenings showcasing inspiring events in sports history through original RDS productions, as well as NFL, ESPN and HBO documentaries, and much more. Fridays at 7:00 p.m., RDS Info’s Soirées Classiques program invites fans to relive memorable moments in the world of sports. Dive back into unforgettable sports events, as well as classic episodes on milestone topics. Also available through the RDS GO app, RDS Info is a division of Bell Media, which is part of BCE Inc. (TSX, NYSE: BCE), Canada’s top communications company. 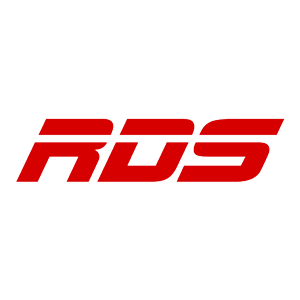 RDS is Canada’s French-language sports broadcasting leader and Quebec’s number-one specialty network. 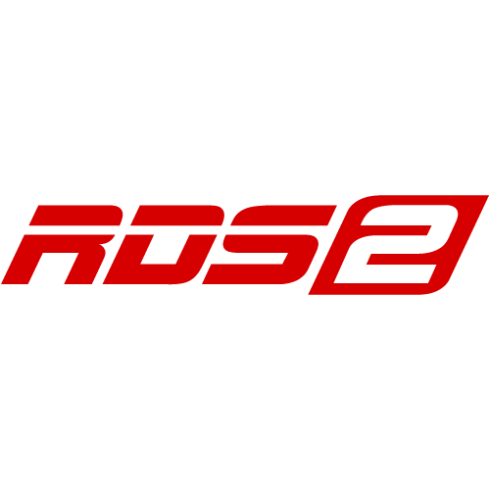 In addition to world-class content delivered across multiple platforms, including RDS, RDS2, RDS Info, RDS.ca and RDS GO, RDS offers the broadest portfolio of French-language sports programming in the world. Official broadcaster of the Montreal Canadiens and Ottawa Senators, CFL and Grey Cup, NFL and Super Bowl, MLS and MLS Cup, MLB and World Series, Olympic Games until 2024, FIFA World Cup until 2026 and EURO 2016, UEFA Europa League and Champions League soccer and exclusive French-language broadcaster of the Montreal Alouettes, Formula 1 and the Tour de France, RDS presents more than 4,000 hours of live programming each year across its various channels, including Montreal Impact soccer, UFC, the IIHF World Junior Championship, St. John’s IceCaps hockey, NASCAR, PGA Tour golf (including all four majors), ATP tennis (including all four Grand Slam tournaments), Barclays Premier League soccer, Season of Champions curling and the Skate Canada International. RDS is a division of Bell Media, which is part of BCE Inc. (TSX, NYSE: BCE), Canada’s largest communications company. Space is home to phenomenal programming including imaginative dramas, epic movies, engaging reality series. Named “Channel of the Year” in 2013 by Playback magazine, Space is also home to original series WYNONNA EARP, KILLJOYS, and the exclusive Canadian home for signature series STAR TREK: DISCOVERY, DOCTOR WHO, KRYPTON, and CASTLE ROCK. 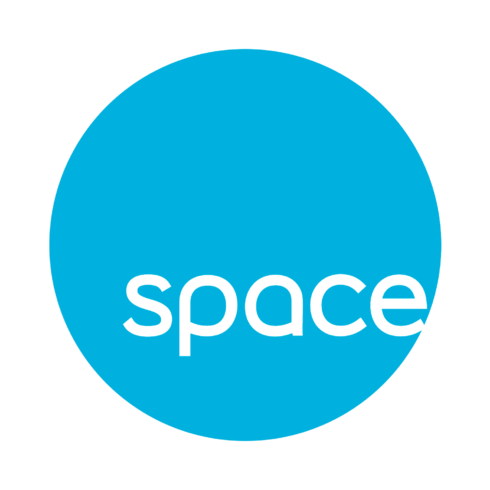 Space content is always available on demand at Space.ca and on Space-branded On Demand channels through several of Canada’s TV Providers, and on Facebook, @SpaceChannel, and other social media platforms. Space is part of Bell Media, which is owned by BCE Inc. (TSX, NYSE: BCE), Canada’s largest communications company. 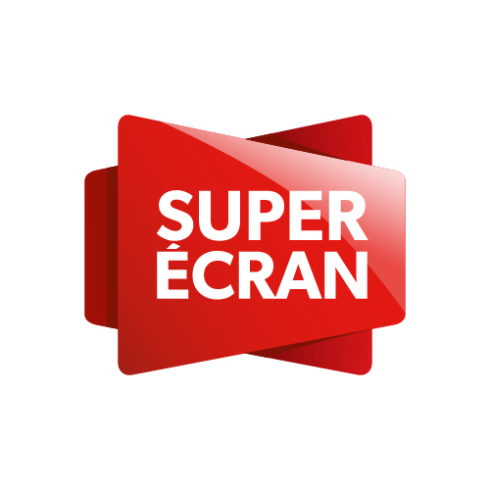 Super Écran is the only premium French-language network in Canada that broadcasts TV premieres of films, exclusive and original series, and variety shows. Super Écran offers commercial-free viewing on four channels available in HD, with five new films every weekend.  Super Écran is also available via On Demand, online and through the Super Écran GO app. Super Écran is a division of Bell Media. 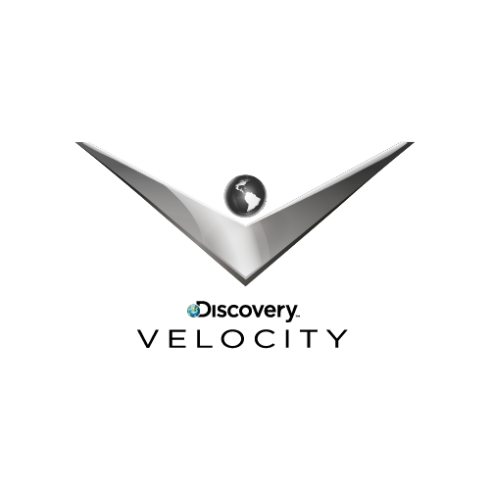 VRAK is the TV and web destination of choice for Quebec teens and young adults. 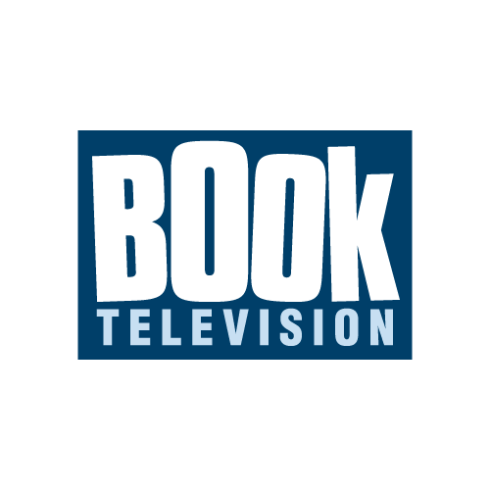 Entertaining, engaging and contemporary, the specialty channel is aimed at knowledgeable viewers who want to experience emotions of all kinds and discover characters they can identify with. All of VRAK’s drama series, magazine programs and specials, whether homegrown or international, feature edgy content while offering a bold, unique take on reality. VRAK is a division of Bell Media. 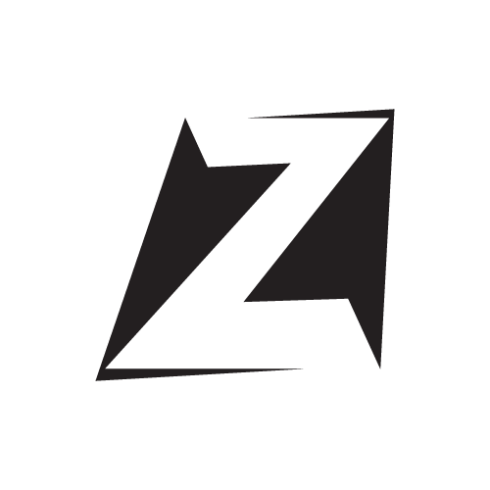 Z is the channel of choice for guys seeking to be entertained by TV programming that’s bold, dynamic and funny. Its original productions, reality TV shows and dramas feature daring, colourful personalities who ensure an exciting viewing experience. Z is a division of Bell Media. The DOCK Plays the Greatest Hits from the 70’s, 80’s & 90’s. Our stations are recognized as dedicated leaders in community involvement. Our fun, dynamic personalities are highly engaged in the community and our listeners are community-minded people. With a loyal base and close relationship with the our listeners, we are the perfect platform for your radio advertising. BNN Bloomberg combines the best of BNN’s Canadian programming with Bloomberg’s unparalleled US, European and Asian content. Audiences benefit from in-depth coverage of the financial markets, coupled with insightful interviews with newsmakers, analysts and corporate executives. BNN Bloomberg Radio can be heard on 1410AM and 103.5 HD3 in Vancouver, and across the country on the iHeartRadio Canada app. Radio advertising on BNN Bloomberg offers a unique opportunity to connect with affluent and highly educated consumers in Canada.  The new Boom FM plays the best musical variety on the airwaves, playing music from the greatest hits of the 60s and 70s all the way to today’s chart toppers. We also keep our listeners plugged in, both locally and regionally, with all the latest news and happenings. The boomfm.com website is also very popular with our local listener base. With 2 stations in the region, Boom FM is at the heartbeat of Monteregie. At CFAX 1070, our weeks are packed full of top-quality content. Hot-topic talk segments and newscasts are on air Monday through Friday. Then, in the evenings, we become Victoria’s headquarters for professional and local sports coverage. On weekends, we entertain listeners with a variety of lifestyle shows. 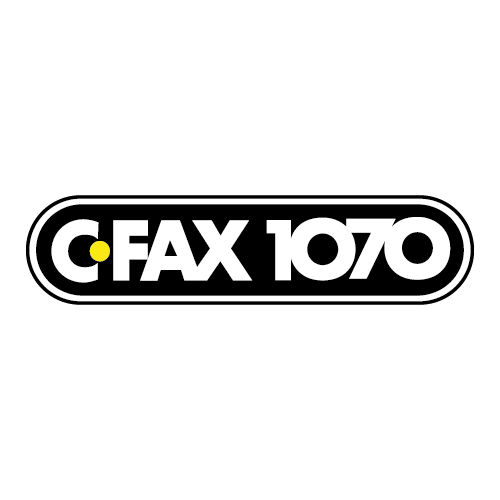 Our engaging mix of content makes CFAX 1070 the perfect platform for radio advertising to an informed consumer base in Victoria. 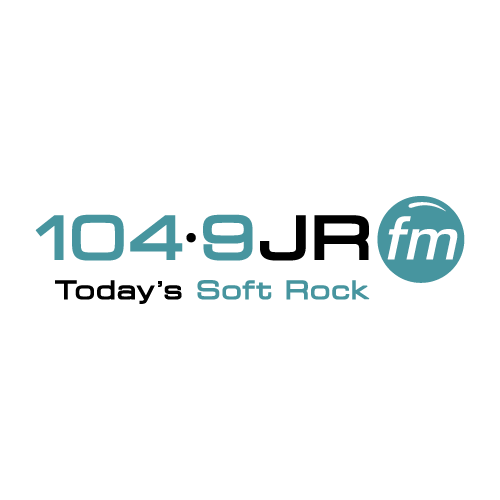 With more musical variety, 104.5 JRFM is Brockville’s at work station. Local radio legend Bruce Wylie starts your morning on the Bruce Wylie Show with Kimberley Johnson, featuring local news, entertainment and fun. If it’s happening in Brockville, 104.9 JRFM will be in the know. 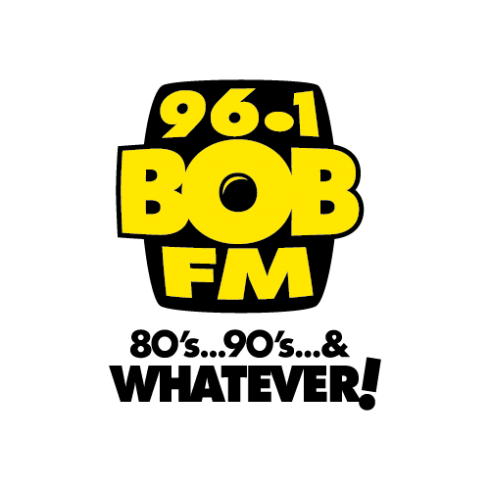 We are the perfect platform for radio advertising in Brockville. 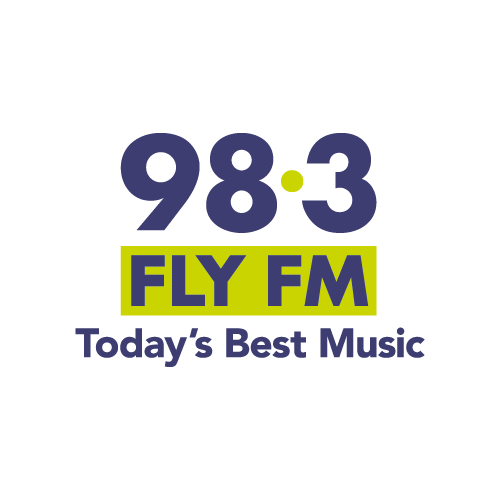 98.3 FLY FM plays today’s best music, with 45 minutes of non-stop hits throughout the day. We have all the hottest songs from today’s biggest artists. Our primarily female audience is engaged in their community, and enjoys a variety of lifestyle activities. We are the perfect platform for your radio advertising in Kingston. 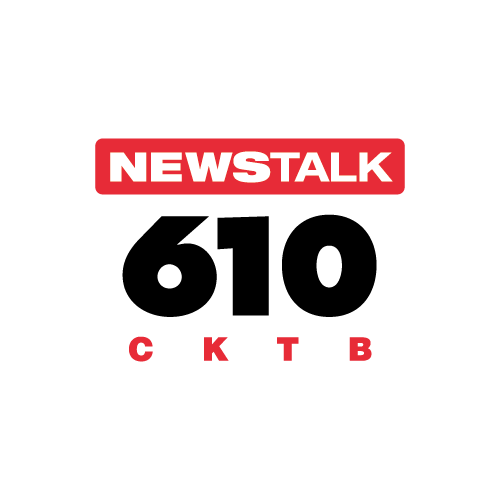 News Talk 580 CFRA is home to Ottawa’s breaking news. Wake up with Bill Carroll on The Morning Rush and drive home with Evan Solomon on Ottawa Now. 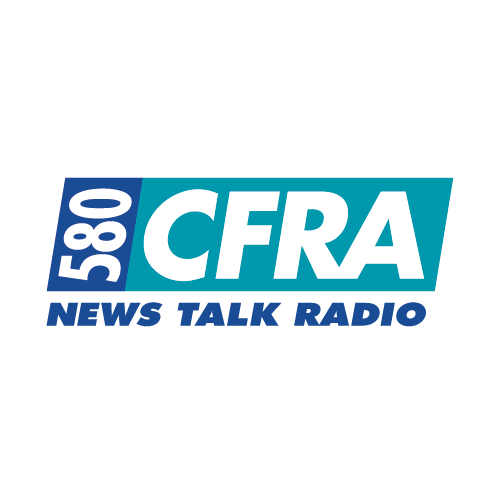 News Talk 580 CFRA is your trusted source for breaking news as it happens. 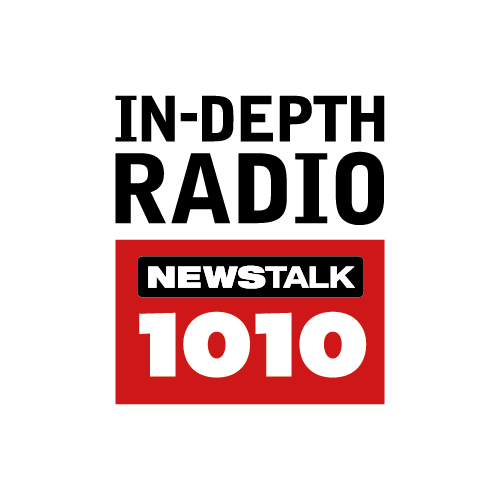 NEWSTALK 1010 takes an in-depth look into the news and social issues that impact our listeners. 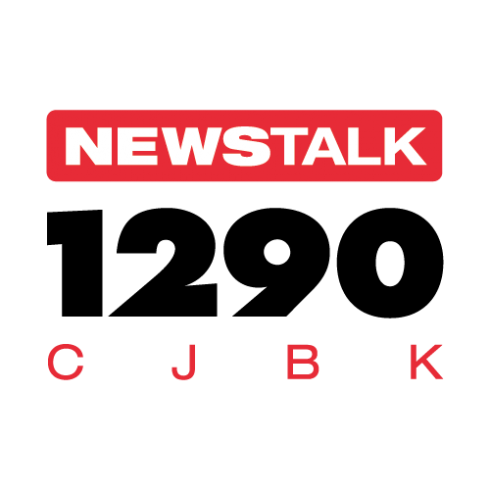 NEWSTALK’s audience trusts and respects the opinions of our on-air personalities. They tune in to our station to get the information they need, and to stay well-informed on issues that affect their lives. NEWSTALK 1010 produces current, local, exclusive stories that our listeners are concerned about. BOB FM plays the perfect mix of pop and rock music from the 80s and 90s, with a healthy dose of “Whatever”. Every weekday morning, our hosts provide our audience with news and information, traffic, weather and of course, the best classic hits. Our stations are also recognized as dedicated leaders in community involvement. With a loyal base and close relationship with the our listeners, we are the perfect platform for your radio advertising. Advertising with 105.3 The FOX gives you direct access to a highly engaged adult audience.  105.3 The FOX delivers a wide local audience who want Classic and New Rock, plus their daily dose of local news and weather. Our fun, dynamic personalities are experts at engaging our listener base, making us the perfect platform for your radio advertising needs. 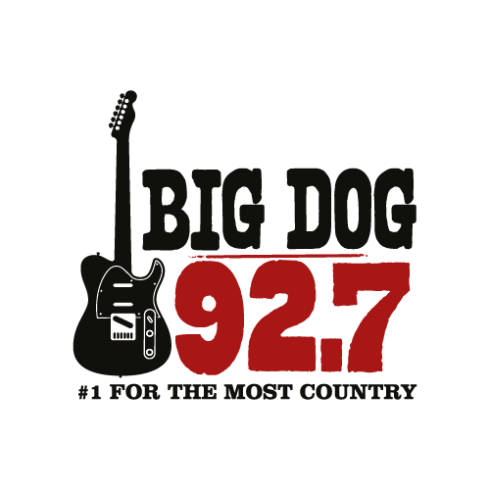 Big Dog 92.7 has accomplished what other stations have not done in decades – attracted large audiences and radio advertisers alike!  Our station is all about music and entertainment for the people of Regina and surrounding areas. We provide a radio experience that everyone in the family can enjoy and that advertisers can depend on to generate traffic for their business. We approach doing business in much the same way as country music attracts listeners – honestly, and without any “smoke and mirrors”. 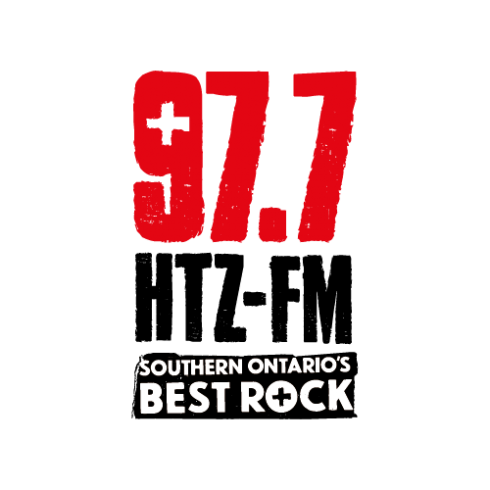 With a solid reputation built on classic rock hits, this English-language station has inspired and influenced more than one generation of listeners. 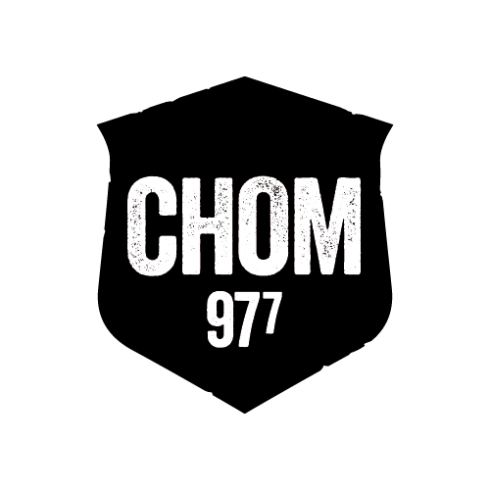 Today, CHOM continues the evolution of rock by delivering all the hits from the 1970’s right up until today.  Now, more than ever, CHOM brings people together in celebration of one thing… the spirit of rock.  HTZ FM is Southern Ontario’s Best Rock – a heritage rock station, trusted in the region for decades. 90’s Rock is the core of what you’ll hear on HTZ-FM complimented with 70’s and 80’s Classic Rock, the best of Millennial Rock and choice New Rock tracks. Our veteran on-air staff is anchored by the award winning Biggs and Barr Show who deliver lifestyle content that is topical, irreverent, sarcastic and controversial. The HTZ FM brand is legendary, and will help your business attract a loyal and active audience. 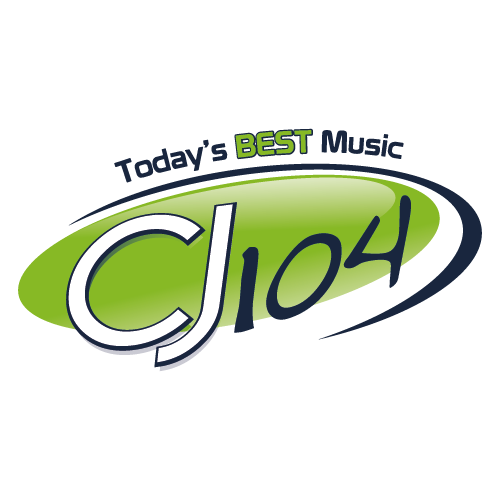 CHUM 104.5 plays all the best hits by today’s most famous artists. Our engaging on-air personalities and epic contests capture our listeners’ attention, and make us one of the most loved stations among a primarily female audience in Toronto. 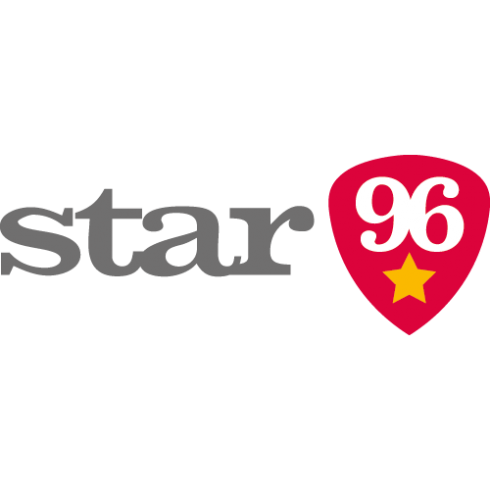 Star 96 provides Pembroke with the best of what country music has to offer. Our station is all about keeping country cool. With a loyal and active local audience, we have an excellent relationship with our listeners. We are the perfect partner for your radio advertising in the region. Advertising with Capital FM gives you direct access to a highly engaged adult audience with a focus on females. Our listeners are early adopters of the latest trends and are plugged into the thrill of the “latest”. 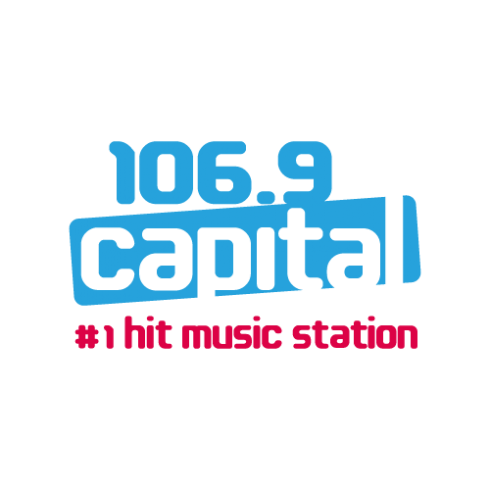 Capital FM delivers the hit music our audience craves, while keeping them in the know about what’s happening around Fredericton.  At 93.9 The River, we play a unique mix of classic alternative music and songs from today's best new artists. As the only station with a triple-A (Adult Album Alternative) format in the Detroit/Windsor markets, our mission is to offer our loyal listener base the real music variety they crave. The River brand will help your business attract a contemporary, music-loving audience. 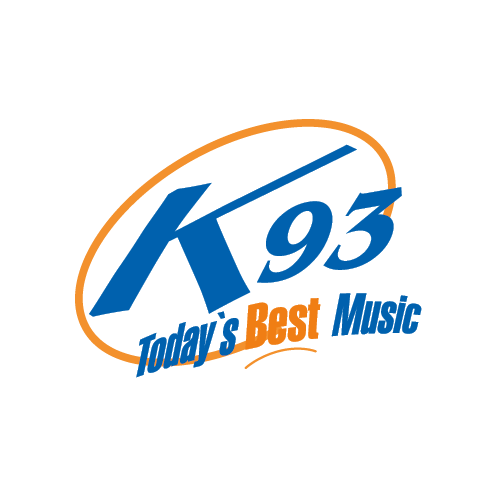 K93 plays the music Grand Falls wants to hear, including today’s top hits. Our audience enjoys live morning and afternoon drive shows presented by our entertaining hosts, plus local news, sports and weather. We are also extremely involved in the local community, making us the perfect partner for radio advertising in the Grand Falls region. Founded in 1991, New Rock 89X is a music and lifestyle pioneer in the Windsor/Detroit market. We quickly forged an exclusive niche in this market by introducing a new breed of influential rock music to a new generation of radio listeners.  New Rock 89X plays the best new rock artists first. We also pride ourselves on having a very strong and creative programming and promotions department, along with a fun and energetic on-air staff that understands and deliverers to the station’s target demo.  C100 plays Today’s Best Music from the biggest stars. We entertain our listeners with 40 minutes of non-stop music every hour, all day. Our well-known personalities, exciting contests and events engage the local community. Radio advertising with C100 is the perfect way to connect with a majority-female audience in Halifax. Our mission is simple: inform, entertain and provide a voice to Montrealers. 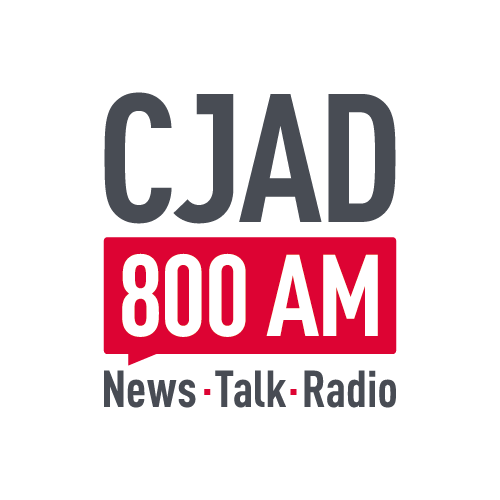 CJAD 800 provides the most frequent news updates, traffic reports every 15 minutes and comprehensive weather. Our experienced and well-known presenters know how to engage and challenge our listeners. 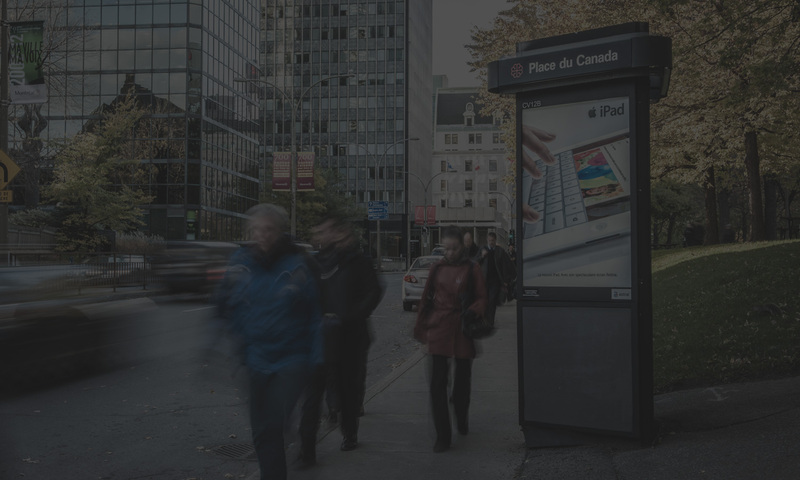 With an informed audience tuned into local events, we are the perfect platform for your radio advertising in Montreal. 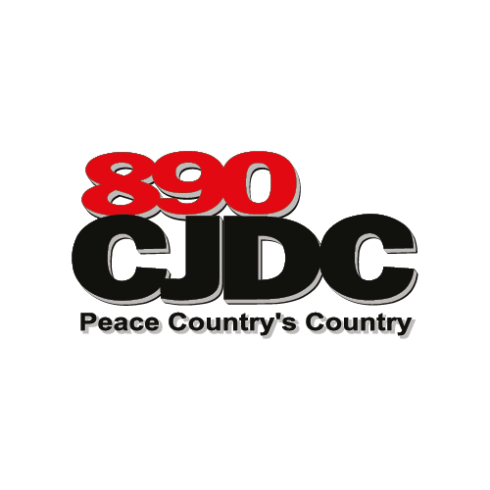 Playing a selection of the greatest classic rock hits, CJAY 92 has been a trusted fixture of the Calgary radio landscape for over 30 years. Our listeners work hard, play hard, and make no apologies for who they are. Our on air team is both irreverent and self-deprecating, and is consistently the talk of the town as we let loose every day.  NewsTalk 1290 presents controversial interviews, phone-in shows, information and entertainment that is local first. Our personalities have been on the air in London for decades, and are well-known and trusted by our audience. We also schedule regular weather, traffic and sports updates each day. NewsTalk 1290 is the perfect platform for reaching an informed market in London through radio advertising. We are also the home of major league sports: Toronto Maple Leafs, Detroit Red Wings, Buffalo Sabres, Ottawa Senators, NFL Football, Superbowl and Grey Cup. 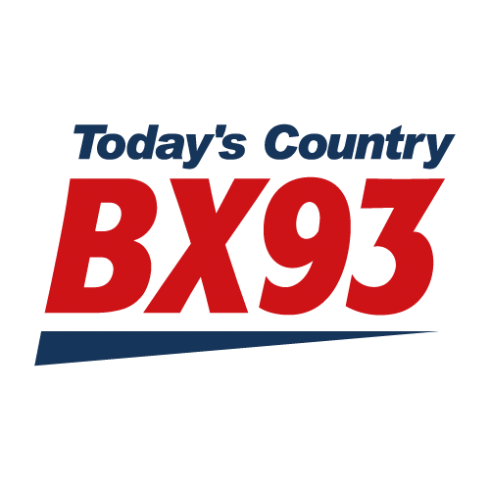 Southwestern Ontario loves country radio, and BX93 has successfully served this dynamic market in London for decades. The style, energy and passion of Today’s Country BX93 remains as strong as ever. Our personalities combine their strong local awareness with their knowledge of the country lifestyle to entertain and inspire listeners. BX93 attracts a loyal and engaged audience, making it the perfect platform for radio advertising in the London region. CJ104 plays the music Woodstock wants to hear, including today’s best hits. Our audience enjoys a live morning show presented by our entertaining hosts, plus local news, sports and weather. 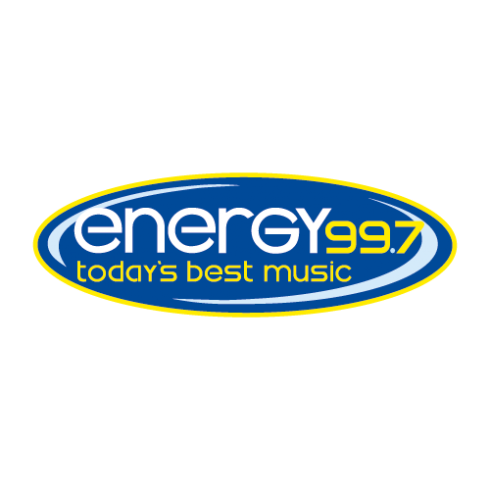 We are also extremely involved in the local community, making us the perfect partner for radio advertising in the Carlton Country region.  A long-time familiar name in the Peace Region, CJDC 890 has a loyal listener base of country music fans. We offer our audience both local and syndicated programming such as Country Gold, Sounds Canadian and Spirit of the West. Local programming includes news, sports and weather reports, plus the very popular Radio Classifieds program. Our fun, dynamic personalities are highly engaged in the community, making us the perfect platform for your radio advertising needs.  CJFW FM 103.1 entertains our loyal audience with the greatest classic country hits. As well as playing songs from top artists, we deliver the region’s best newscasts. 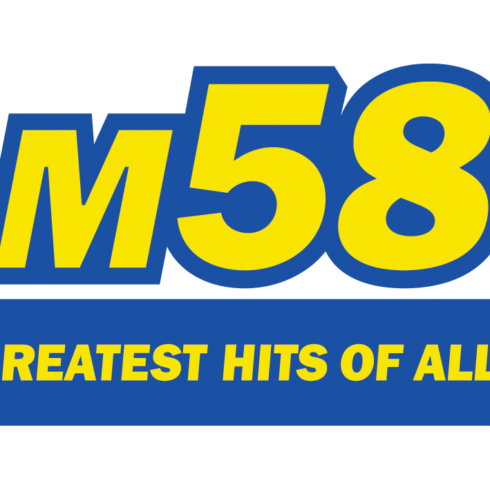 The station covers a massive area of 200,000 square kilometers, and is the obvious choice for radio advertisers targeting the population from Burns Lake to the Queen Charlotte Islands. 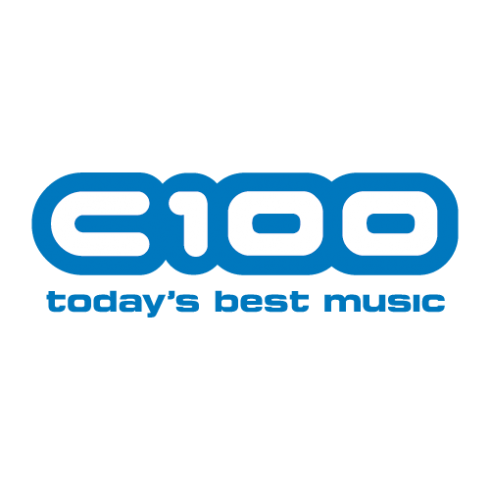 MAJIC 100 plays today’s best variety and is Ottawa’s favourite at work radio station. Home of Stuntman Stu and Angie Poirier in the mornings, we play music from the 80s, 90s and today’s favourites. MAJIC 100 is fun, fresh and constantly playing songs that make you want to sing along with. 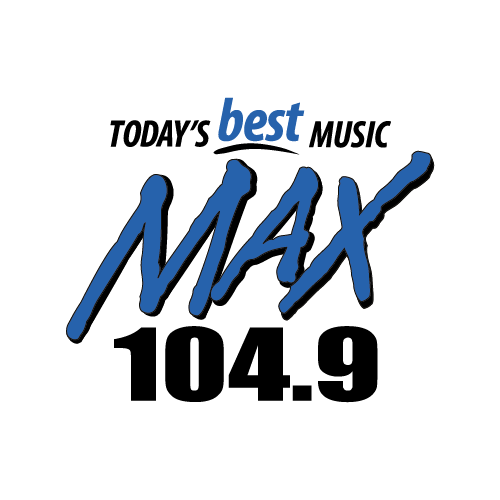 MAX 104.9 plays the music Bathurst and the Chaleur Region want to hear: a blend of today’s hits, including up to nine hours a week of French-language music programming. Our audience enjoys live morning and afternoon drive shows presented by our entertaining hosts, plus local news, sports and weather. We are well-known and involved in the local community, making us the perfect partner for radio advertising targeting consumers in New Brunswick’s North Shore. Reach an informed and engaged audience with radio advertising on CKFR AM 1150. We are a market leader in Kelowna, with multiple active online feeds providing the latest news notifications. 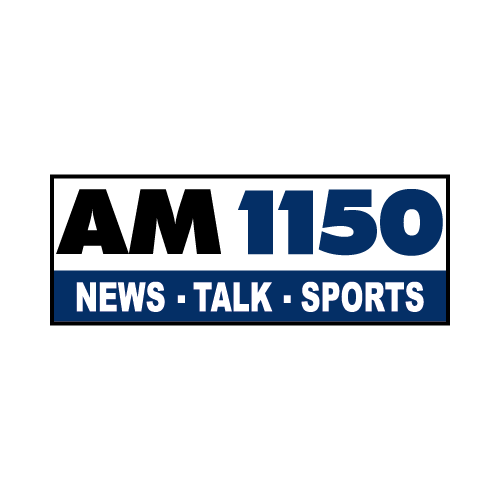 When news breaks in the Okanagan Valley, CKFR AM 1150 is the first choice for listeners counting on reliable and up-to-the-minute coverage.  KHJ 1260 AM entertains our audience with a mix of today’s best country and the biggest hits from 1980s to now. The station’s roots run deep in the Greater Fredericton/Oromocto area; over twenty-five years of entertaining radio’s most loyal audience, supporting community events, and emphasizing local news and sports. 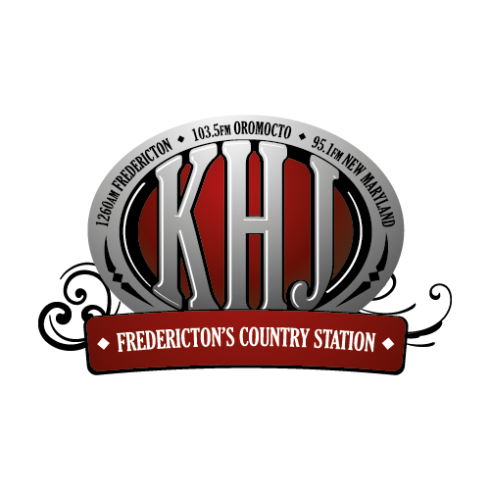 Good times, great music, friendly people and solid information all add up to make us a trusted partner for your radio advertising needs in Fredericton. 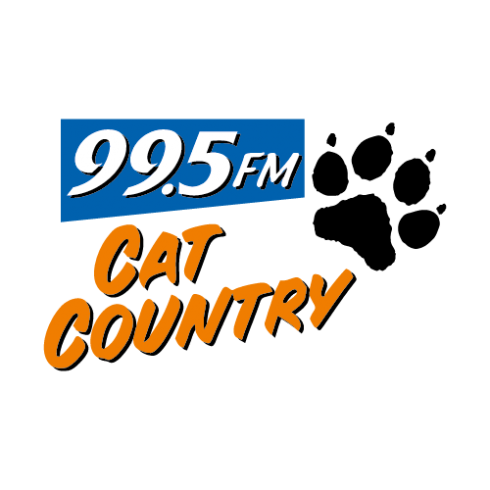 Broadcasting from downtown Ottawa, Ottawa’s New Country 94 is a high-energy country music station, featuring the biggest and hottest stars in country music today. Presenting exclusive win-to-get-in events and concerts all year long, Ottawa’s New Country 94 reaches an incredibly passionate listener base, making us a great platform for your radio advertising in Ottawa. 99.5 KFUN is the home of the greatest hits of all time. We play all the best rock and pop favourites from the 60s, 70s, 80s and beyond. Our charismatic on-air personalities entertain our audience in the morning. Then, throughout the workday, we play 40 minutes of non-stop hits every hour. We are well-known and trusted in our local community, making us a great partner for your radio advertising needs. 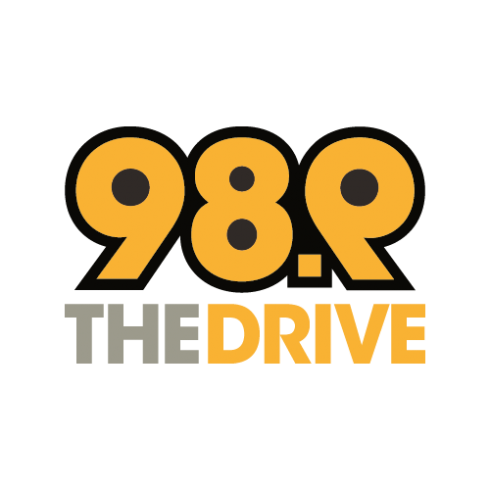 98.9 The Drive plays only the best and most essential alternative rock music. Our active, majority-male listeners are engaged in their community and participate in a variety of lifestyle activities. We are the perfect choice for your radio advertising in Kingston. Interactive, engaging and always fun, 102.9 K-Lite FM never leaves the listener asking for more. K-Lite is Hamilton’s “at-work station”, and keeps everyone up to date on the latest information from Hamilton and the surrounding area. We also mix in the latest entertainment news with more musical variety, featuring Sunni & Hayes in the morning. K-Lite is the perfect platform for radio advertising targeting a female-oriented audience in Hamilton. 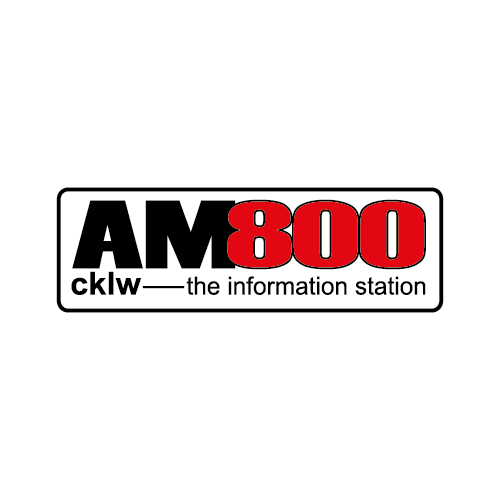 AM800 CKLW keeps the Windsor-Essex area informed and involved, 24 hours a day. Home to Windsor’s #1 Morning Show, CKLW 800 gives the local, Canadian perspective in an ocean of U.S. media. Our audience is in touch with their community and CKLW 800's talk programming addresses issues that are specific to us and what local listeners are talking about. With a comprehensive local focus on news, community issues and information as well as specially selected syndicated programming, CKLW 800 is the perfect way to reach an engaged audience in Windsor through radio advertising.  Energy 99.7 is a “hot AC” radio station that energizes our majority-female audience with songs from the top hit artists. Our listeners engage with us primarily on their mobile devices, and participate in many lifestyle activities within their community. We are the perfect platform for your radio advertising in Peterborough. 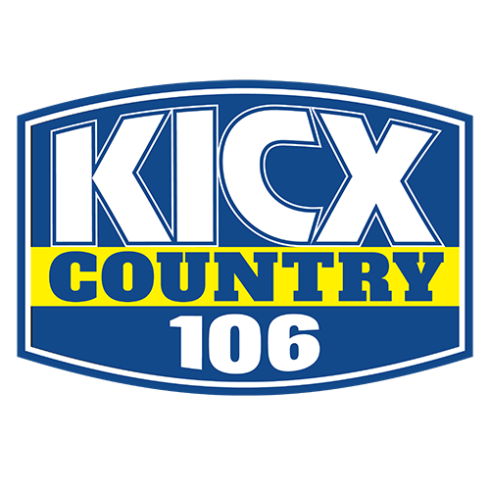 Country 105 is a country music radio station that plays all of today’s hottest hits and yesterday’s classics in 12-in-a-row sets. Our majority-female listeners enjoy outdoor sports activities, and are active on their mobile devices. We have an excellent relationship with our loyal audience in Peterborough. NEWSTALK 610 CKTB is St. Catharines’ trusted station for a daily dose of information and entertainment. We cover the most important events happening both locally and around the world. A vibrant on-air and online community with live, local and opinionated talk shows, up-to-the-minute news, traffic reports and the latest water-cooler talk. Our experienced and well-known presenters know how to engage and challenge our listeners. This unique relationship creates a close connection, making us an ideal partner for your radio advertising.  Big Dog 100.9 is the destination for information and fun in Central and Northern Nova Scotia. We attract a wide local audience who want Classic and New Rock, plus their daily dose of local news and weather. Our fun, dynamic personalities are experts at engaging our listener base, making us the perfect platform for your radio advertising needs. While country music is rich in tradition and has strong roots, new artists are experimenting and pushing the boundaries in exciting ways.  Cat Country mixes the best of both worlds with a blend of today’s country music and all-time favourites from the 90’s to now. 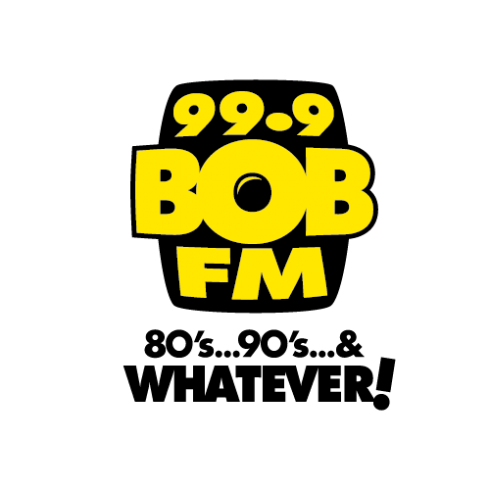 Our loyal listener base is engaged and connected, making us the perfect platform for your radio advertising needs in Central Nova Scotia. 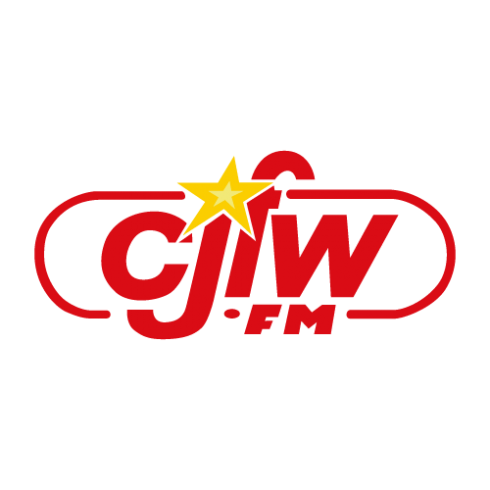 CKWW 580 is the perfect way to reach an engaged and loyal audience in Windsor through radio advertising. We are the Motor City station for great fun and great “oldies”.  Finally, there's a Detroit-Windsor radio station dedicated to playing the greatest hits of all time. We broadcast every day from the legendary studios of the “Big 8”! CKWW 580 has the largest on-air music library in town, and has an excellent relationship with our loyal listener base. Without a doubt, Western Manitoba is Farm country. Nestled between the Riding and Turtle Mountains, the land in this part of the world is perfect for growing a wide variety of crops.  And, when it comes to country music, listeners in this area trust 101.1 FM The Farm. The emphasis on family, fun, and of course, country music is a compelling choice for our loyal listener base. 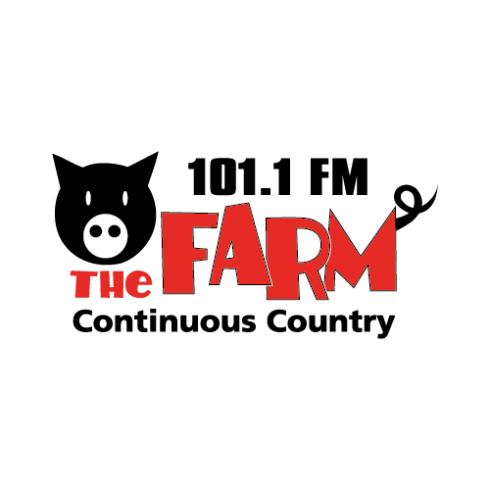 If you live on, or grew up on, a farm, or have ever dreamed of having a little patch of land somewhere – the Farm speaks to you. ENERGIE is a radio station featuring musical and spoken content by a team of high-calibre hosts that is primarily aimed at an audience aged 35 to 54. Our listeners enjoy content that entertains and informs them through humour and intelligence. Our varied and energetic musical programming features the greatest hits of the past 40 years.  ENERGIE’s wide reach, unique format and top content make it an excellent choice for radio advertising in the province of Quebec. *** Note that ÉNERGIE 98.9 in Quebec City operates at a Talk format. EZ ROCK is designed to specifically target the 35?54 audience. The music played appeals to this demographic as it addresses the listener’s “musical memory” with songs they’ve grown to love and turn up when they hear them.  With an emphasis on late 70’s and 80’s music right through today, every song heard on EZ Rock is instantly familiar.  Take advantage of 24/7 access to comedy-loving audiences with radio advertising on FUNNY. 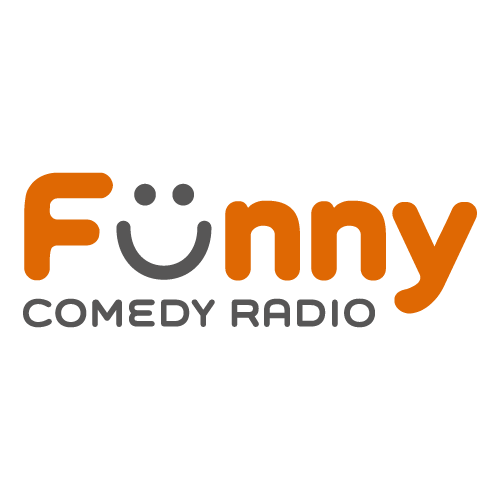 Hosted by the world’s top comedians, the goal of FUNNY is to deliver a laugh a minute. Our rapid-fire, brief comedic bits are designed for today’s shortened attention spans, and the universal appeal of comedy draws listeners from a multitude of demographics. Since its launch in 2011 at the inaugural iHeartRadio Music Festival, iHeartRadio has continued to be a leading digital service in the U.S. and has achieved 80 percent brand awareness in only a few short years. In January 2016, Bell Media and iHeartMedia announced an exclusive new partnership that brings the iHeartRadio brand to Canada. The iHeartRadio digital service in Canada will showcase content from Bell Media, Canada’s largest radio broadcaster with 109 licensed radio stations in 58 markets across the country. In Canada, iHeartRadio will provide instant access to the live radio feature, offering listeners throughout Canada all of Bell Media’s broadcast and digital-only radio stations across mobile, auto dashes, tablets and smartphones, gaming consoles, wearables, and more. iHeartRadio is an all-in-one digital radio and music streaming service that allows listeners to create personalized custom stations featuring all of their favourite music from every artist in the world. 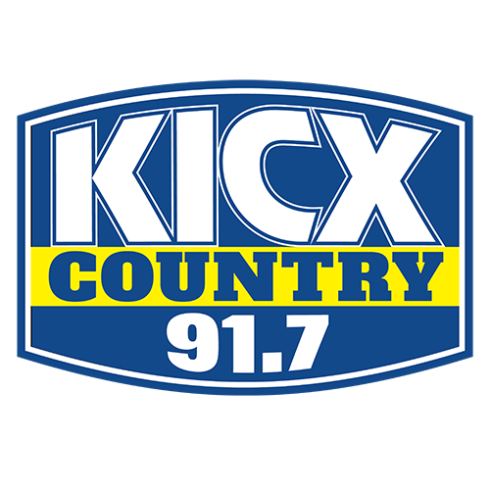 KICX 91.7 has built a very loyal fanbase in Greater Sudbury and Simcoe County by focusing on great country music and entertainment. We feature fun personalities that the entire family can enjoy. We are highly engaged in the community and are always “in ‘the know” in the Greater Sudbury region. If you’re looking to speak directly to a passionate and engaged audience, we’re the perfect platform for your radio advertising needs. QMFM is a popular radio station in Vancouver, playing the best hits from the past to present for a primarily female audience. Our listeners are primarily educated homeowners who enjoy a variety of lifestyle activities. With an enormous reach and loyal listener base, we are the perfect way to reach your ideal audience in Vancouver. 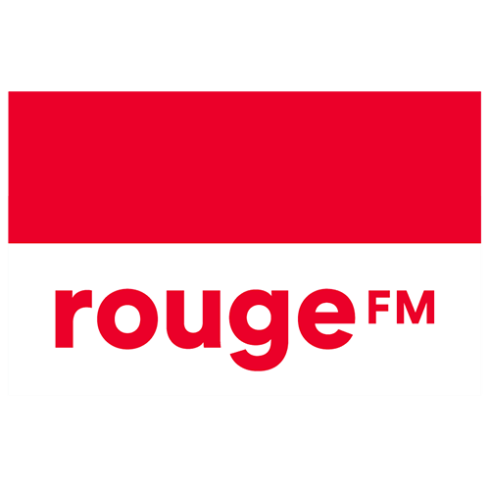 With its nine stations in key Quebec markets, Rouge FM is the radio network that’s with our listeners from morning until night. Our announcers are seasoned professionals who know how to engage and challenge listeners with content that is dear to their hearts. With the addition of Veronique Cloutier, a Quebec superstar, the team is enjoying immense success with her at the forefront. Rouge FM is specifically designed to reach active consumers directly at their workplace – a unique advertising advantage.  And to push the Rouge FM experience even further, our audience visits the Rouge FM website on a daily basis. Advertisers will benefit from the close relationship our listeners have with Rouge FM. 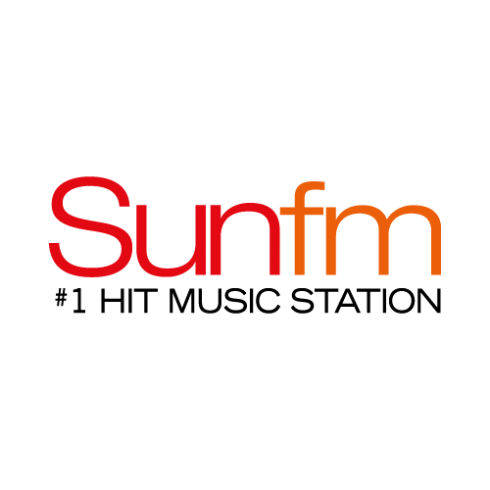 Sun FM entertains our in-the-know listener base with great local personalities, hit music and fun promotions, all while interacting with the BC interior’s largest social media following. We deliver non-stop hit music, and keep our audience in the know about what’s happening around in the world, and right at home in their community. By partnering with us, brands can connect with trendsetting consumers who are interested in the next big thing. 100.3 The Bear - Edmonton, Alberta Edmonton’s Best Rock is 100.3 The Bear! Playing everything that rocks from AC/DC and Ozzy Osbourne to Nirvana and The Red Hot Chilli Peppers. Our highly entertaining on-air personalities push the limits on all subjects and invite listeners to do the same. We are often the talk of the town with our ‘out of the box’ stunting promotions and wild antics on-air, on-line and on the street. We keep the conversation open through Facebook, Twitter and live on air! You can find everything that rocks on 100.3 The Bear! 102.3 The Bear - Fort Nelson, British Columbia 102.3 The Bear is Fort Nelson’s Best Rock. Join Ken in the morning beginning at 6am for the hottest rock of today and the classics you love! Not to mention all the opportunities to win! It’s where winners listen...Rock 102.3 The Bear. 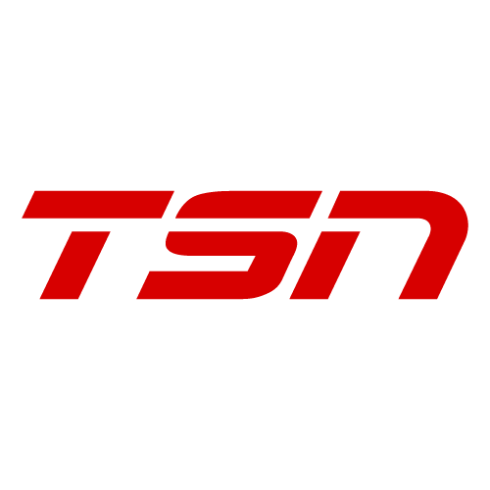 TSN is the first choice for serious sports fans, whether it’s to find out the latest information on their favourite team, or to engage with the biggest sports issues happening now. Our hosts are connected, informed and opinionated, giving our listeners an earful of what they crave – spirited sports coverage.  Take advantage of this unique opportunity to connect with sports fans across Canada through radio advertising.  Advertising with Virgin Radio gives you direct access to a youthful, highly engaged audience. Be a part of the station with the biggest names in the music industry. 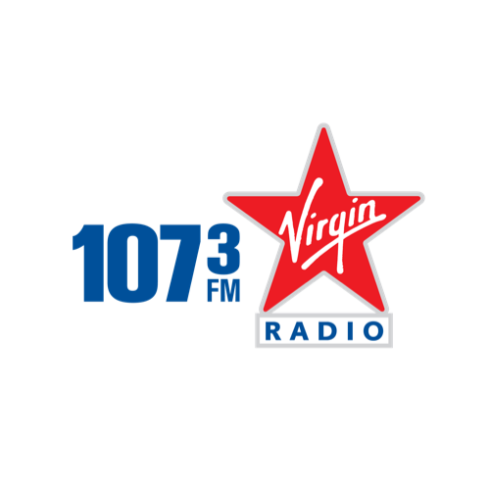 Virgin Radio offers our audience non-stop entertainment with hit music, star personalities and massive promotions. Our listeners are early adopters of the latest trends. They are plugged into the power of “now” and the thrill of the “latest”. Speak directly to the highly sought after younger, female-oriented demographic through Virgin Radio. At the forefront of the latest technology trends, we offer advertisers the opportunity to deliver powerful messages that engage and connect with consumers. The online network destination of choice! Including Canada's leading online video network, award-winning websites, user-generated content sites, mobile-optimized sites and apps. Visit Advertising Sales to discover our platforms.